Shiromani Akali Dal (SAD) on Thursday urged Union Home Minister Rajnath Singh to grant citizenship to all Afghan Sikh and Hindu families who had taken refuge in India after fleeing “persecution” in Afghanistan. A delegation of SAD met the Union Home Minister on Thursday. SAD also urged him to reverse a notification of the Union territory of Chandigarh which made mandatory for all Sikh women to wear turbans while riding two-wheelers. The delegation also submitted a list of Sikh detainees who continued to languish in various jails even after their prison terms came to an end, requesting Singh to facilitate their release. The delegation, which included Union Food Processing Minister Harsimrat Kaur Badal besides MPs Sukhdev Singh Dhindsa, Prem Singh Chandumajra and Naresh Gujral, said there were around 35,000 Afghan Sikh and Hindu families who were living in India. The delegation apprised the Home Minister that people fled Afghanistan after the Taliban took control over the country in 1989 and later in fits and bursts after facing persecution. They were pressurised into religious conversion and sensed danger to their women folk, the SAD team said. Briefing the Home Minister, Harsimrat Badal urged him to grant passports to all displaced persons. She also sought their rehabilitation by being offered a comprehensive package, as was done in the case of Kashmiri Pundits and Sri Lankan Tamils. SAD said that they were assured of formation of a committee comprising Sikh representatives to examine the entire matter and make recommendations for resolving it. 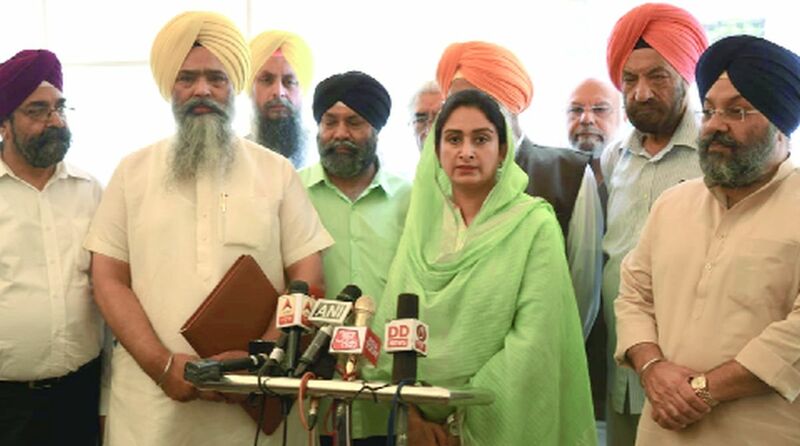 The SAD delegation also submitted a memorandum to the Home Minister briefing him about a notification issued by the Chandigarh administration making it mandatory for Sikh women to wear turbans. It apprised the minister that Sikh women were exempted from wearing helmets by even the Supreme Court which adjudicated on this issue on the basis of Clause 3 of the Motor Vehicles (Protective Headgears) Rules, 1980 which exempts Sikh women from wearing turbans. 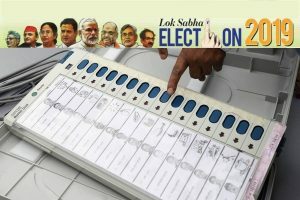 The delegation claimed that the Chandigarh administration had changed the definition of Sikh women by substituting the words “or a woman” in the Rules to “a Sikh person (including women) wearing the turban”. It argued that as per Sikh “rehat maryada” it was not mandatory for Sikh women to wear turban. It said this action had hurt the sentiments of the Sikh community and had even been condemned by the highest temporal seat of Sikhs – Shri Akal Takth and should be withdrawn immediately.